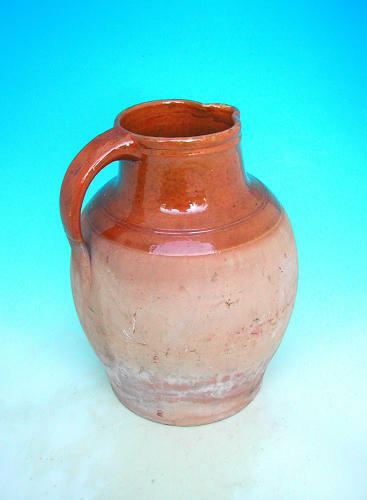 Antique 19thc West Country Stoneware Ale Jug. English. C1860-80. An imposing 19thc Tavern Ale Jug made from Stoneware...it is of a good size with a side handle and shaped spout, decorated with double ring decoration to the collar and a round imprint underneath the handle....in very good condition...some minor chips to the base to be expected with its age and use. West Country, possibly Bridgewater in Somerset.